If you’re considering investing in property and are looking for an alternative to a residential buy-to-let, a UK holiday let could be the key to making a decent yield. A study last year found that nearly three in five Brits were planning to have their annual summer break in the UK – and the number of people opting for a staycation could rise if Brexit uncertainty puts holidaymakers off going abroad this year. With this in mind, investing in a UK-based holiday let could be the way to go. Growing numbers of British holiday let investors are choosing to keep their cash in their home country rather than buying abroad. In fact, research from estate agent Savills has found that 39% of the Brits who bought holiday lets in 2018 opted for UK properties, up from just 14% before the 2007 financial crash. This investment trend is likely to continue as holiday homes in the UK are easier for owners to visit, manage and service than holiday lets bought overseas. Here, we reveal the property features that bring the highest yields and explain the holiday let mortgage considerations you’ll need to bear in mind. For expert advice on mortgages for holiday lets, call Which? Mortgage Advisers on 0800 197 8461 or fill out the form at the end of the article for a free callback. Which holiday let features earn the most money? According to Sykes Holiday Cottages, certain features and availability types could help you get a much better yield. On average, holiday let owners could earn 10% more if their property is by the coast, in a national park or pet-friendly. You could earn up to 20% more just for having good wifi or an open fire. An additional 30% could be added to your yield if you offer short breaks over the winter period. Of course, if you’ve already bought a holiday let and it’s nowhere near the coast, there’s not much you can do about it – but investing in decent wifi and opening up availability in the colder months could make a big difference. Can I get a mortgage on a holiday let? 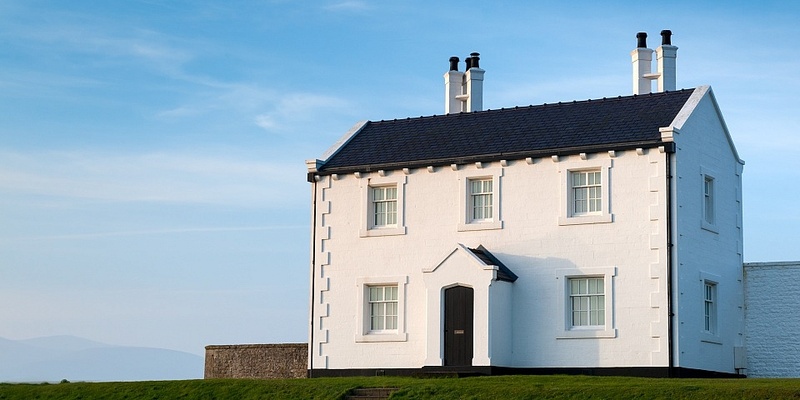 It can be tricky to get a mortgage on a holiday let property. Many lenders don’t offer these types of mortgage at all. They see the risk of lending as simply too great as there’s no guaranteed income, especially as some holiday lets are left empty outside of peak season. Some lenders do offer specialist mortgages, however. To be eligible, you’ll usually need a deposit of at least 25%, but to qualify for a decent interest rate you’ll need 35%-40%. Some homeowners choose to remortgage their home, releasing equity to put towards a more sizeable deposit for a holiday let. This would reduce the amount you needed to borrow for the holiday home and could get you a better rate, but you may pay for this through increased costs on the mortgage on your home. It’s worth taking expert mortgage advice before making a decision either way. Projected rental income must be around 145% of your mortgage payments, tested at an interest rate of around 5.5%. For your property to be considered a holiday let for tax purposes, it has to be available for at least 210 days of the year, and occupied by tenants for at least 105 days a year. Longer lets of over 31 days can’t be included in these figures. The advantage of your property qualifying as a holiday let is that you’re not technically a landlord, and therefore some of the usual buy-to-let tax liabilities don’t apply. Plus, if the home is fully furnished it will be seen as a business venture, rather than a property purchase. This means you should be able to claim tax relief against fixtures and fittings and offset mortgage costs, tax and utility bills against your income as self-employed expenses. But, when it comes to buying a holiday let, you’ll still have to pay the 3% stamp duty surcharge if you already own another property. Only certain lenders offer mortgages on holiday lets and the rules can be complicated, so it pays to take expert advice. For an impartial recommendation on the best deal for you, and friendly advice on how holiday let mortgages work, call Which? Mortgage Advisers on 0800 197 8461 or fill in the form below for a free callback.